Whether Listing your home for top dollar or assistance with a Move out Clean. A clean home is a happy home. Renfrew Cleaning Services is a division of the Renfrew Family of Companies. Renfrew Cleaning Services prides itself on Cleaning Services above expectation and living up to the Renfrew Brand in Quality and Experience for their clients. Previously known as "Meticulous Cleaning" Renfrew Cleaning Services (R.C.S.) has been in business for over 12 years and was incorporated into the Renfrew Family of Companies Shortly after Arron Renfrew and Angie Renfrew were married and discovered the values and work ethic that both companies had in common. A merger was a natural progression for the continuing growth of both services. R.C.S. prides itself on attention to detail and professionalism for cleaning Residential and Commercial properties. 1. 1st time Deep Cleaning. 4. New Construction Detail Cleaning. 5. Custom cleaning products tailored to the value of each client/property. 7. Light Cleaning and Organizing of Office, Garage, and Kitchens. 8. Custodial weekly and monthly Commercial Office Maintenance Cleans. R.C.S. has a quality team of carefully screened and trained business partners ready to serve you with personal service. Renfrew Cleaning Services has our 60 Point Cleaning Services Checklist that you will only find at Renfrew Cleaning Services that insures a Clean you will be proud of! and ask about our 60 point cleaning quality check list! 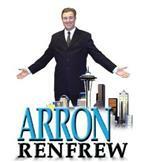 OR email at Angie@RenfrewRE.com . Be sure to ask about our Client Appreciation Program! !